As House of Peoples Representatives and House of Federations hold their second special meetings for the year tomorrow, Ethiopia’s fourth president under Ethiopian People’s Revolutionary Democratic Front (EPRDF) government is submitting resignation letter – according to state media Ethiopian News Agency (ENA). 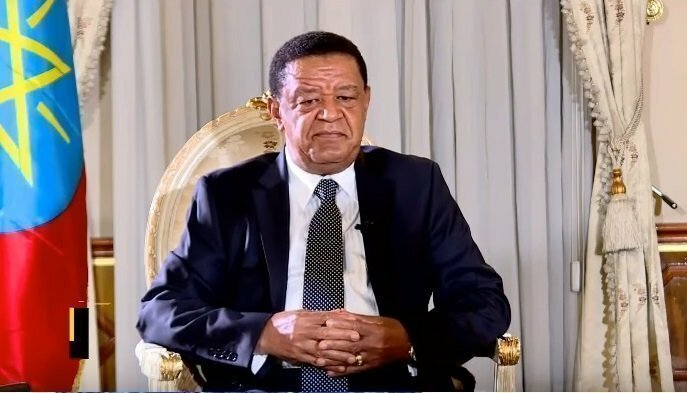 When president Mulatu steps aside tomorrow, the parliament and the house of Federations are expected to appoint a new president for the country. And there is no clue at this writing as to who is going to be the next president of the republic. About two weeks ago, rumors emerged in social media saying that Ambachew Mekonnen (PhD) (from what is now Amhara Democratic Party- ADP) would be appointed as the next president after he was left out from Abiy Ahmed’s new cabinet appointment (and there was expectation that he would hold Foreign Affairs Ministry position). As party supporters were outraged with the unconfirmed news, sources from the party disclosed that Ambachew asked for it and that his party opposed his candidacy for the position on grounds that he could be more productive in other position that the party deems relevant in consideration of equitable share of government power between member parties within the ruling coalition. A week later, news came out on social media again that Ambachew changed his mind. Ethiopian Parliament elected Tagesse Chafo as the new Speaker of House of representative to replace Muferiat Kamil who is now Minister for Peace, the most powerful position in the government next to the prime minister.